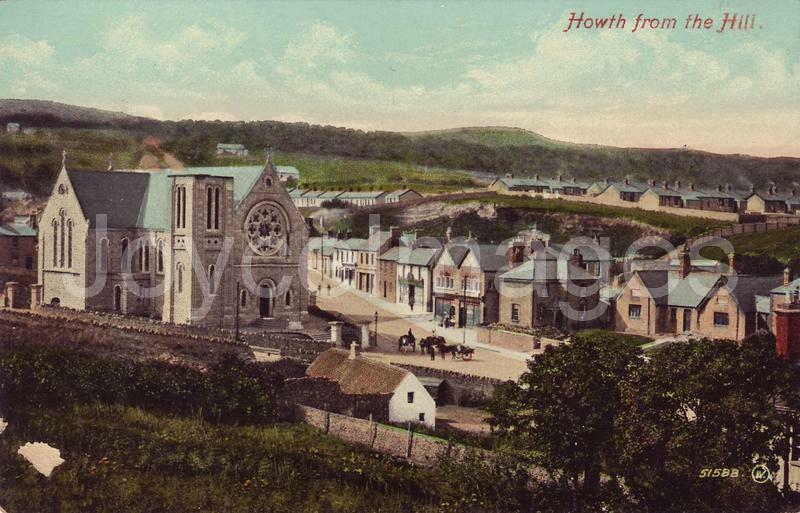 A PC of the hill of Howth. The large church on the left is the R.C. Church of the Assumption.